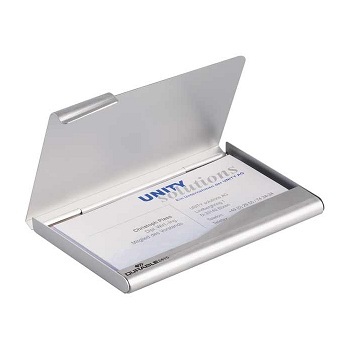 Slimline business card book fits easily into your briefcase or bag so your contacts are always at hand. 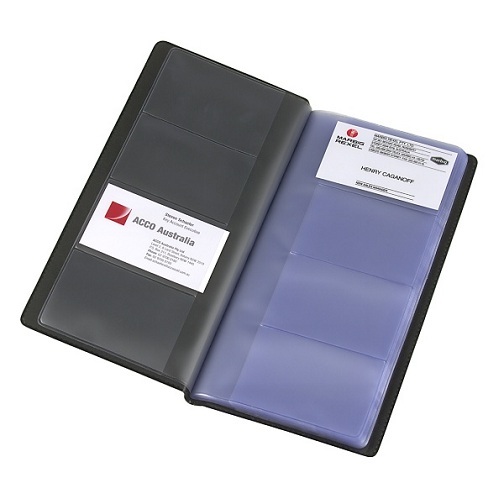 Long lasting plastic pages protect and store your business cards. 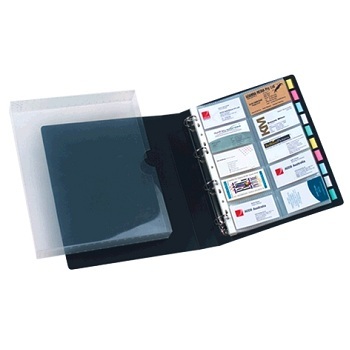 Durable PVC anti-static, transparent pages protect and store your business cards. 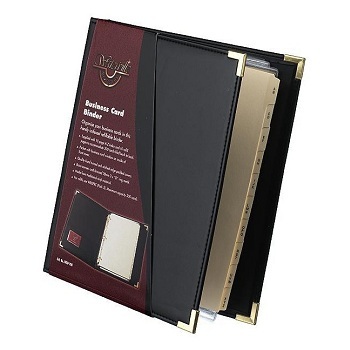 Organise your business cards in these stylish, executive binders. A4 size binder with padded cover and 3 'O' ring metal on inside of spine with half pocket with clear business card window on inside of front cover. Colour - Black with either brass or pewter (silver) corners. High quality PVC refills to suit all Waterville A4 standard 2,3 and 4 ring binders. Lightly embossed side loading A4 PVC business card pockets. Punched to suit all A4 standard 2,3 and 4 ring binders. 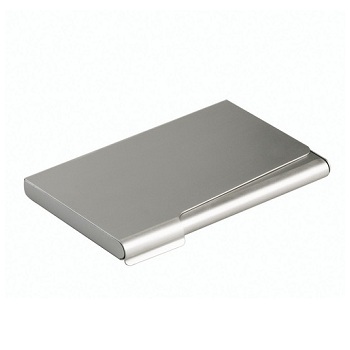 Elegant aluminium case for business cards with a matt silver exterior. Stores and protects business cards. Small enough to slip into your handbag, top pocket, etc. Inside dimensions 90 x 55 mm. 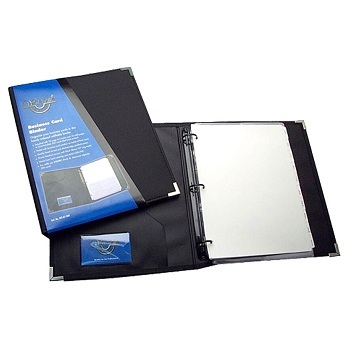 Professional refillable business card binder with protective case for storage. 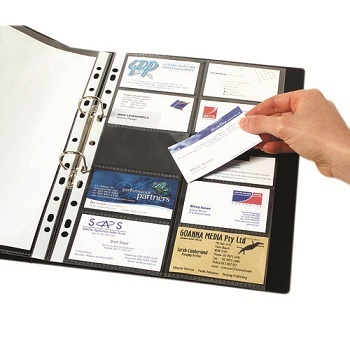 A4 size binder with ribbed finish polypropylene cover and 4D ring mechanism. 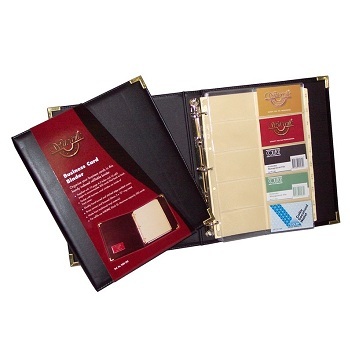 Conveniently stores, protects and secures business cards in your binder. Reinforced binding edge. 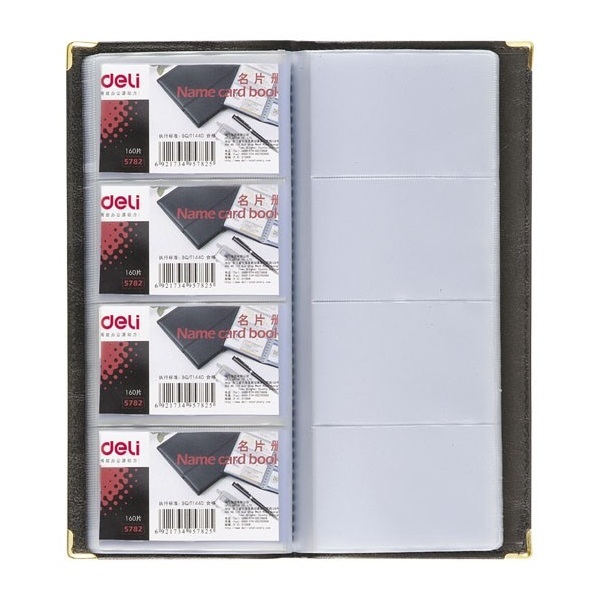 Fits all A4 standard 2,3 and 4 ring binders. Inner edge opening securely holds cards. Durable PP sheets resist tearing. 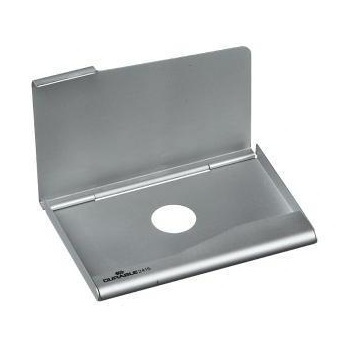 Holds up to 20 business cards per page.